As we prepare for what promises to be another great hiking, camping and mountain biking season, it’s great to be getting back outside to begin conditioning for the new year. As a lot of the trails are still soft and not quite ready for hiking, I like to start getting out on the rail trails. Rail trails are a great place for walking and cycling. As railroads have been abandoning their unused lines, progressive communities have turned them into multi-use trails for bicycling, hiking, and horseback riding. 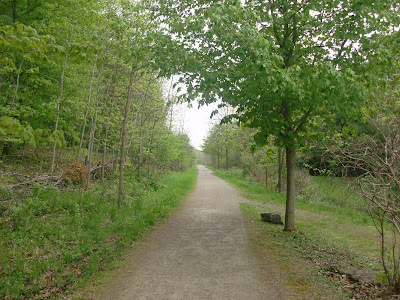 The one closest to me is the Hamilton Brantford Rail Trail. 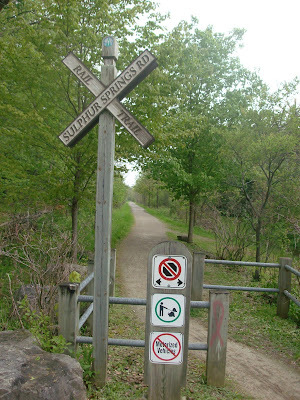 This is actually two connecting trails, the West Hamilton - Jerseyville Trail maintained by the Hamilton Region Conservation Authority, and the Jerseyville - Brantford Trail of the Grand River Conservation Authority. They are both excellent and together make for a continuous ride of about 40 km. The West Hamilton - Jerseyville trail was the first to be constructed, in 1993. It begins on the west side of Hamilton, near McMaster University, following the Dundas Valley for 18 km to the community of Jerseyville. The surface is an excellent fine granular. Past Jerseyville the trail is newer, having been constructed in 1996. The surface is of similar construction. The trail weaves through an ever changing landscape. 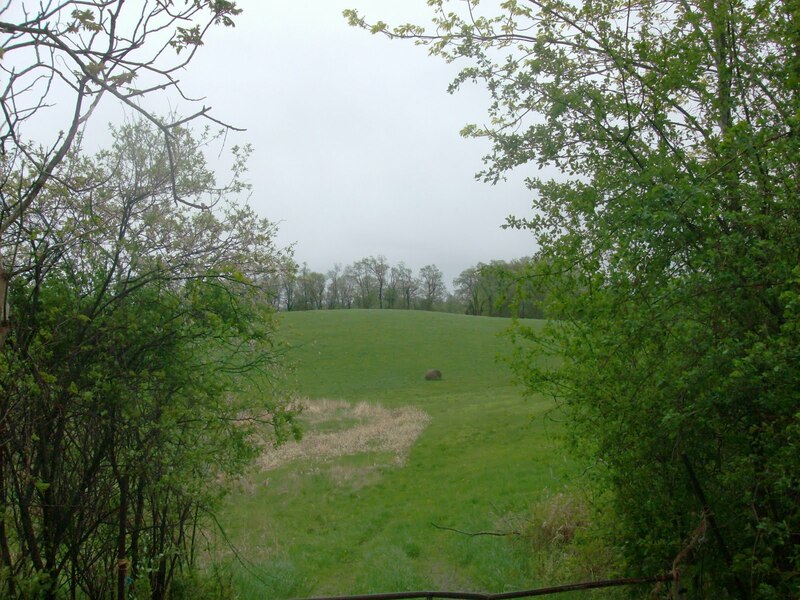 As you pass through and ascend out of the Dundas valley, the trail is enveloped with trees, opening periodically to afford spectacular views of meadows and forest. 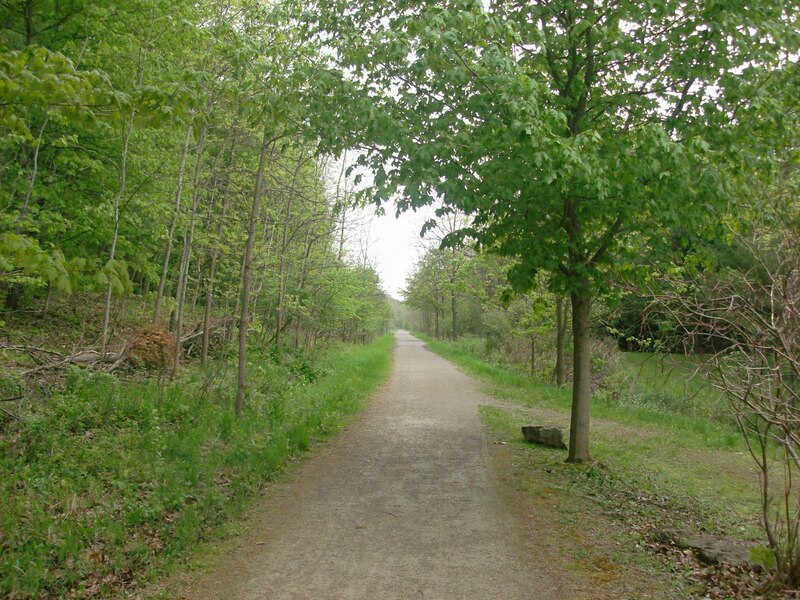 There are a number of side trails including the famous Bruce Trail that cross the rail trail offering plenty of opportunity to explore. The wildlife is plentiful with birds and deer and the trail centre located at the 6 km marker provides interpretive information as well as a snack bar. A large scale map is posted there detailing the rail trail as well as the network of hiking trails in the area. Once out of the valley the trail is flat and the scenery is mostly farmland interspersed with small stands of forest. The trail here is lightly travelled and very peaceful as you pass through the historic village of Jerseyville. As you get closer to Branford, the trail again passes through forest and crosses an old trestle bridge. It takes you back in time as you imagine steam locomotives travelling through the area, hauling their wares. 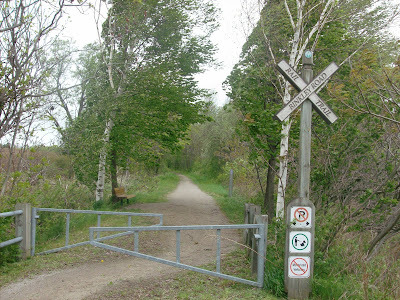 The trail is well maintained with markers posted each kilometre from the Hamilton end, and some benches are provided. Attractive plantings and signs have been installed at road crossings, and a few parking lots have been constructed. Water, toilets and a snack bar are available at The Trail Centre in the Dundas Valley Conservation Area, about 6 km from the Hamilton end. The snack bar has limited hours, and the indoor washrooms may also be closed at times. The water is available at an outside faucet near the trail. At the Hamilton end the trail starts near the Fortinos grocery store at Ewen Road and Main Street. There are places to park at numerous spots along the trail wherever the trail passes a road. There is also parking and access from The Trail Centre in the Dundas Valley Conservation Area.